Turn herbs occasionally so they're healthier and look fuller/balanced. Potted herb plants naturally grow towards the source of sunlight, and they may start to lean or look one-sided unless you give them a quarter-turn every few days. Trim or harvest often. Life in a pot is pretty confining for most herbs, and you don't want them to outgrow their space or start getting floppy or lanky. So cut off tips often; this trimming inspires the plant to branch and go grow more densely and compactly. After a while, the herbs may naturally peter out and need to be replaced. So enjoy them to the fullest while they're in their prime! Herbs rarely need fertilizer! In fact, excess fertilizer may lead to lax, floppy growth that's unattractive and vulnerable to diseases and pests; it may also inhibit flowering. Some herbs like "sweeter" soil (soil with a higher pH; alkaline soil — see Chapter 4). If your garden's soil is towards the acidic side, a sprinkling of lime powder or chips at the herb's base at planting time may be in order. Examples of herbs that like this include chia, lavender, and echinacea. Make sure you water in your herb plants on planting day. Then water the plants often in the following days and weeks until they become well-established. Well-established herbs may be fairly drought-tolerant, but that doesn't excuse you from getting them off to a good start while they're young. Some herbs really prefer soggy ground. The drawback is that if you put them in such a spot, they may grow too rampantly; be willing to let them do as they will. If that's not practical, simply raise them in a pot and keep the pot well-watered and/or set in a saucer of water so the growing mix is perpetually damp. 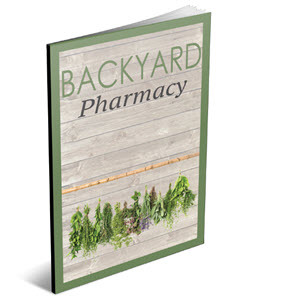 Examples of herbs like this include mints, beebalm, cardamom, chervil, goldenseal, and sorrel.